9 am – Medium. I’m fascinated by Medium’s rise as a reliable place to find thoughtful and well crafted writing. Founder Ev Williams has been improvising on the theme of publishing platforms for nearly 15 years – first with Blogger, then with Twitter. Medium is a place in between those two, as it relates to the point of view of the creator. It has yet to develop a full throated business model, but I sense one emerging. 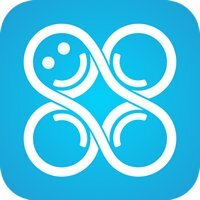 I’m going to find out more about the company and its people and community. Medium is also one of the Yahoo Media Innovation sessions – a curated track that Yahoo! and NewCo put together to highlight innovative media companies who are participating in NewCo SF. Runners up: GitHub and Brigade. GitHub has always fascinated me – sure, it’s a code-base repository and developer community, but more importantly, it’s the center of an emerging power class in our society. And Brigade has at its core a mission that fascinates me – it asks the question: Can we leverage new technologies to change our political system? 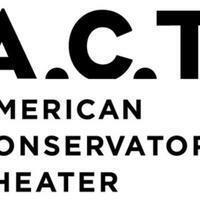 10:30 am – American Conservatory Theater/The Costume Shop. Look, how often do you get a chance to actually see the backstage magic that creates first-class theatre productions? I’m a total theatre geek, though I don’t get to shows nearly as often as I’d like. I’m hoping to re-kindle my love affair with the stage by seeing behind the ACT’s curtain for the first time. Super excited. Runners Up: The Moxie Institute and Chute. I am a huge fan of filmmaker Tiffany Shlain, who is a pal. Her “Let It Ripple” films on AOL are a huge hit, and her “The Future Starts Here” series is up for an Emmy. And I’m on the Board of Chute, which is a promising startup in the visual discovery, rights management, and adtech publishing market. But for me, NewCo is about new – so I’m going with ACT. Noon – Rickshaw Bagworks. It’s not a bad hop from mid-market, where ACT has set up shop, to Dogpatch, where Rickshaw Bags manufactures its wares. 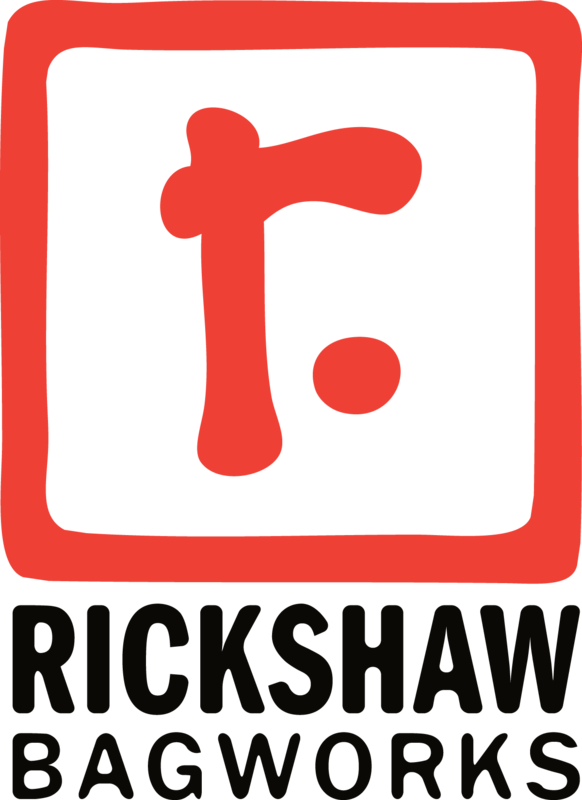 I met the CEO of Rickshaw at last year’s festival, and was inspired by his devotion to quality, community, and local manufacturing. I haven’t gotten a chance to see his digs yet, and I know the tour of his shop will be inspiring. Plus, I am a customer of Rickshaw, I love my Rickshaw backpack. It’s cool to be able to see where it was made. Runners Up: PUBLIC Bikes and SVAngel. I’m a biker, and I want to understand the rise of the “city bike,” which PUBLIC Bikes creates right in the heart of SF. And while I know folks at SV Angel, I’ve actually never seen their space. It will have to wait till next year, alas! 1.30 pm – Earnest. When someone leaves Andreessen Horowitz to start a mission-driven company, you know he or she must be pretty, well, driven. In this session, I get a chance to meet the CEO of Earnest, which is a new lending platform with the outsized goal of changing how lending works. Classic NewCo company. Runners Up: the melt and KITE Solutions. I’ve never had a melt sandwich, but I love how the company has grown over the past two years, and wish I could be in two places at once. And KITE, run by my pal Mark Silva, is matching innovative startups to large brands, a business I love. But again, the new beats the known at NewCo for me. 3:00 pm – Lit Motors. I was so bummed to miss Lit last year, and thrilled they are back at NewCo SF this year. 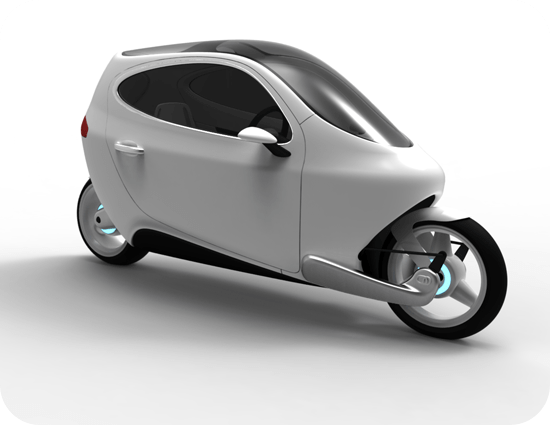 Lit makes new kinds of vehicles, not exactly cars, but not cycles either. I can’t wait to learn about the ideas which inspire these creations. Runners Up: AdStage and City & County of SF. AdStage is a super promising platform for managing marketing – but I’m an investor so I know a fair bit about it. And I love that the Mayor’s office is part of the NewCo platform – their session will provide insights on how the city works with entrepreneurs to tackle big civic problems and opportunities. 4:30 pm – Twitter. Sure, I get inside Twitter from time to time to meet with friends and colleagues, but this session is going to be different. Twitter is focusing its NewCo session on how it is leaning into community development and philanthropy. This is a critical issue to the mid market area, as well as to all cities who are experiencing a tech-driven boom. Not to be missed. Runners Up: Yahoo!, Pinterest, and DocuSign. Yahoo! continues its reinvention, and this session is an opportunity to learn how it’s going. DocuSign has a tiger by the tail, I’m deeply impressed with what Keith Krach and his team have done there (Krach is a speaker at our VIP Plenary kickoff party, which you can attend by buying a VIP ticket here). And Pinterest is on FIRE. Tough choices here. 9.00 am – Tumml. I’m taking a flyer here, as I know very little about this startup, but I love their mission, which is all about addressing issues of urban environments through public/private partnerships. 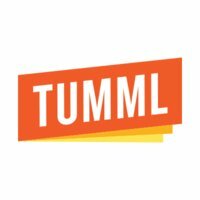 Also, the session is taking the form of a pitch session, where entrepreneurs in the Tumml program pitch the audience. That should be a blast. Runners Up: Bloomberg and Blossom Coffee. I went to Bloomberg last year and loved seeing behind the scenes of how TV gets made. And who doesn’t need a good cup of Joe at 9 am?! 10:30 am – Lemnos Labs. This speciality VC firm funds hardware startups. What do I know about hardware? Almost nothing! And that’s why I’m heading to this session. Runners up: TechShop and Salesforce.com. I went to TechShop last year and learned a ton about the new culture of DIY and Big Machines. And Salesforce, which is hosting our plenary VIP event, is a great company doing well by doing good. Noon – Founders Circle Capital & Shasta Ventures. I’m an advisor to FCC, so I’ve been to their South Park offices. But it’s always good to hang at a homebase during NewCo, and I love FCC’s model of founder-driven secondary financing. A much needed innovation for fast growing companies, plus I get to meet the folks at Shasta. Runners Up: Automattic (just a wonderful company well worth the visit) and Yerdle. 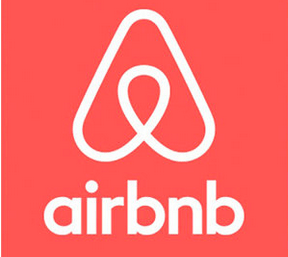 1.30 pm – Airbnb. OK, so I’ve been wanting to see the new offices ever since they opened last year. I can’t wait to get inside and see how one of the most valuable startups in the world gets its business on. Runners Up: Backplane and Hightail. Backplane has built a platform based on the insights from creating Lady Gaga’s Little Monsters community, and Hightail is competing in the world of Box and Dropbox. Both are run by fascinating entrepreuners. 3:00 pm – Cloverpop. Another flyer, but this one seems super cool. The company is attempting to “upgrade how we make decisions” using social data and storytelling. There’s a special invite for their private beta for those who come to the session. Now that’s pretty awesome. Runners Up: SEAGLASS, Delectable, and Scoot. In fact, this is the most difficult hour of the whole festival – so many amazing companies. Please head to SEAGLASS, last year they had pure honey dripping from actual honeycomb. It’s an incredible restaurant. And Delectable is all about wine, and my guess is there’s wine to be had there. And Scoot is just a super cool idea – electric scooter sharing. 4:30 pm – Jawbone. I’m eager to know what’s next from this innovative company – now that Apple has purchase Beats in particular. If not for NewCo, I doubt I’d ever get a chance to visit Jawbone – and that’s kind of the point! Runners Up: Comcast Ventures and Trulia. Comcast Ventures is making a move to be a player in SF VC, and I find any move by Comcast significant these days. And Trulia, recently merged with Zillow, is just a fascinating business. Wow. That’s a dozen deep dives into companies in just two days. I really love the NewCo concept – I know, I know, I’m Chair of it, after all. But really, where else do you get a chance to get inside so many extraordinary organizations and really experience how they are changing our society? Please, join me and dive in. I’ll see you there! 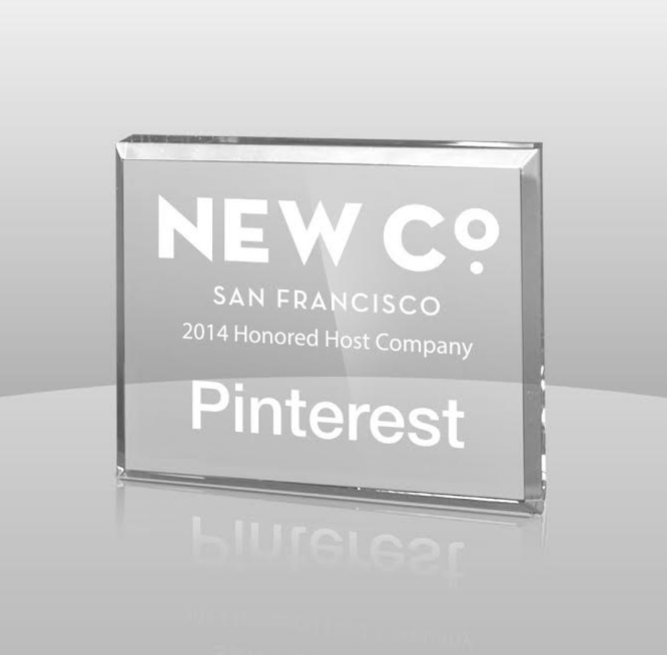 Previous Previous post: NewCo Sizzle Reel, SF Sked Are Up!